Elek Plumbing’s team of SuperSTARS is comprised of licensed, experienced plumbers who arrive with shoe covers and drop cloths to protect and respect your home, floors and furnishings. When major (or minor) plumbing problems threaten to ruin your day, trust our skilled experts to get your Allentown home or business back on track, pronto. Voted Best Plumber in the Lehigh Valley for several years running by the Morning Call Readers’ Choice Awards, Elek Plumbing delivers high-caliber service backed by a 100%, no-gimmicks satisfaction guarantee. Equipped to manage all your plumbing needs, we provide installation and repair of faucets, toilets, water heaters, water softeners, garbage disposals, outside spigots, sump pumps, water lines, sewer systems and more. If your toilet runs continuously or your faucet drips all night, a quick DIY fix may do the trick. More complex repairs call for a licensed plumbing professional. Elek Plumbing has proudly served Allentown and the Lehigh Valley for more than 100 years, so we’ve “been there, done that” with virtually every type of plumbing problem. From deteriorating sewer systems to leaky water heaters, no repair is too tough for our highly trained technicians. Faucet & fixtures: Expertise includes repair and installation of kitchen faucets, bathroom faucets, laundry room faucets, water shut-off valves and all types of home fixtures. Garbage disposals: Elek Plumbing provides troubleshooting, repair and replacement of this handy—and often misused—kitchen appliance. Don’t buy into the myths about sharpening blades with ice cubes or freshening the disposal with lemons. Ask our SuperSTARS how to keep your disposal running strong. Sewer line repair: Damaged sewers are more than a nuisance. A cracked sewer pipe can pollute your groundwater, spread disease, contaminate soil or lead to expensive property damage. Elek Plumbing offers 24-hour sewer repair that delivers peace of mind. Repiping: Aging homes often suffer from deteriorating pipe systems. 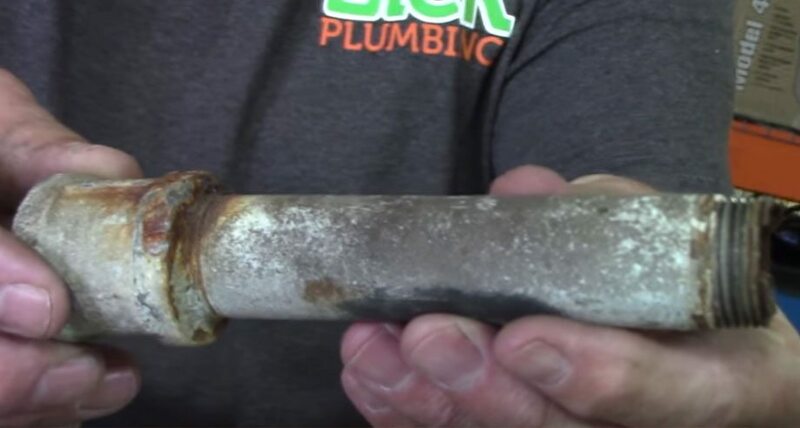 If your home or business has lead and galvanized pipes, watch for rusty water and low water flow. If you have copper pipes and hard water, calcium deposits and sediment buildup can block pipes and lead to a rupture. Elek replaces aging plumbing systems with the industry’s latest materials. Well pumps: Rural Elek Plumbing customers often rely on the local water table for their drinking, cleaning and irrigation. Our water treatment division installs and maintains jet pumps, submersible pumps and specialty pumps to suit your needs and your home’s geography. And, when your well pump is on the fritz, count on us to restore water service in no time. Elek Plumbing has proudly served Allentown, Bethlehem and Easton for more than a century, and our legacy of unparalleled customer service continues today. Contact us for emergency and routine plumbing problems, and trust us to recommend long-lasting, energy-efficient solutions that won’t break the bank. Dial 610-432-7001 to schedule service or request an estimate. Use our convenient online form to inquire about cost-effective maintenance agreements that protect your home and your plumbing investment.